Did you know Lady Velvet Cabaret offer private sessions for students not only in many styles of dance, theatre and acting, but also in music? Whether you are returning to singing or music from an extended break, an experienced performer looking for a vocal coach or piano teacher, or a complete beginner with no prior experience, our qualified and professional instructors can help you maximise your potential and achieve your goals. With teachers specialising in modern and classical voice, as well as music and piano (syllabus and recreational repertoire), we can help you polish technique, build repertoire, improve your understanding of music theory, and work towards achieving your goals, whether they be auditions, jobs, or just to sing in tune. Contact us today to find out more about enrolling – use the enquiry form below or email info@ladyvelvetcabaret.com.au. This depends on the length of lesson you require, number of students and whether you are a registered or casual student – please email info@ladyvelvetcabaret.com.au or complete an enrolment form for more information! I've never sung, learned an instrument, or performed before - will I be able to do this? You may book in one session to meet your instructor and get to know the lesson style, but there are no discounted trial lessons available. Yes! You can book classes whenever you like, provided the studio and instructor are available! What if I'm not good? That’s okay! 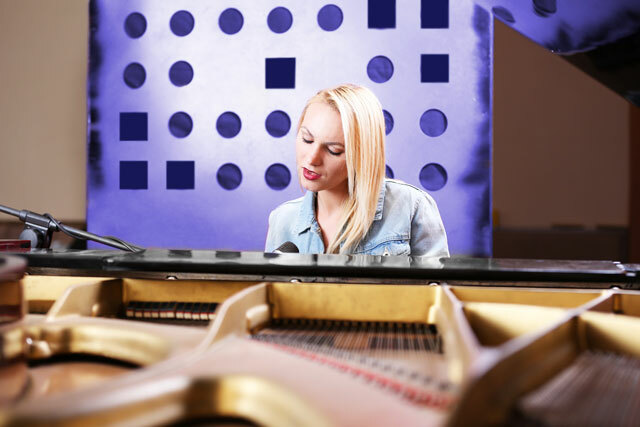 Even if your skills are very basic, you can still take music or vocal lessons. Relax and learn the basics first with your patient and professional instructor! Remember that improvement takes time, patience, and practise. What will we cover in class? This depends on you and your individual goals. Your instructor may recommend following a syllabus or purchasing some course materials, or they may ask you to bring in pieces and songs that you wish to learn. You should discuss your aims and desires with your instructor. No. We do not offer discounts for private lessons as full fees are required to cover your instructor’s time. If you cannot commit to booking and paying for a block or term of classes, you can book classes whenever you are available, but do keep in mind that the studio and instructor also need to be available at this time.